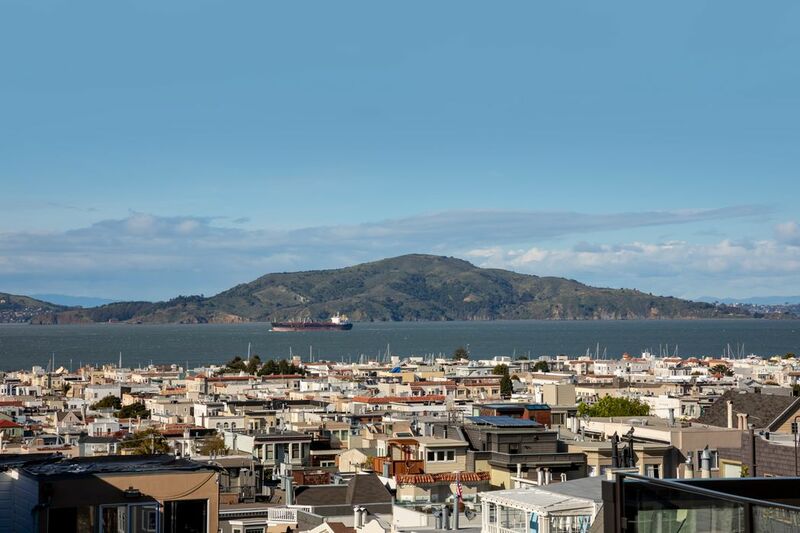 2645 Baker St , San Francisco, CA 94123 | Sotheby's International Realty, Inc. 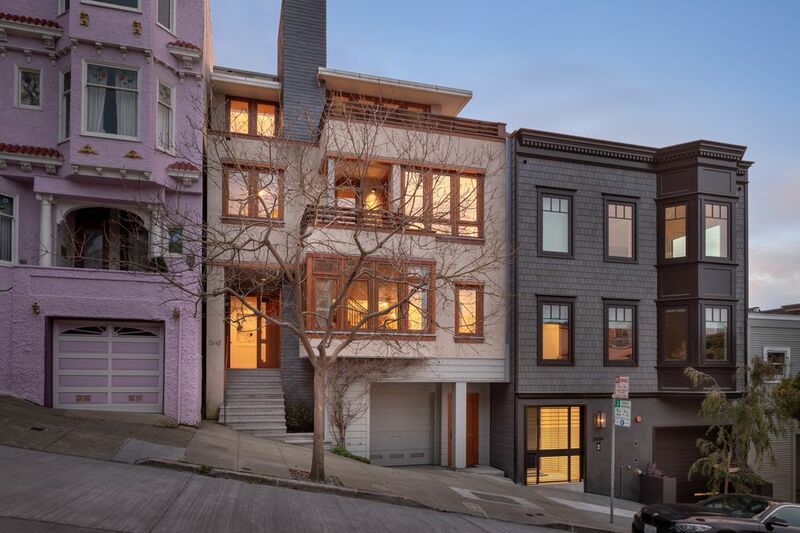 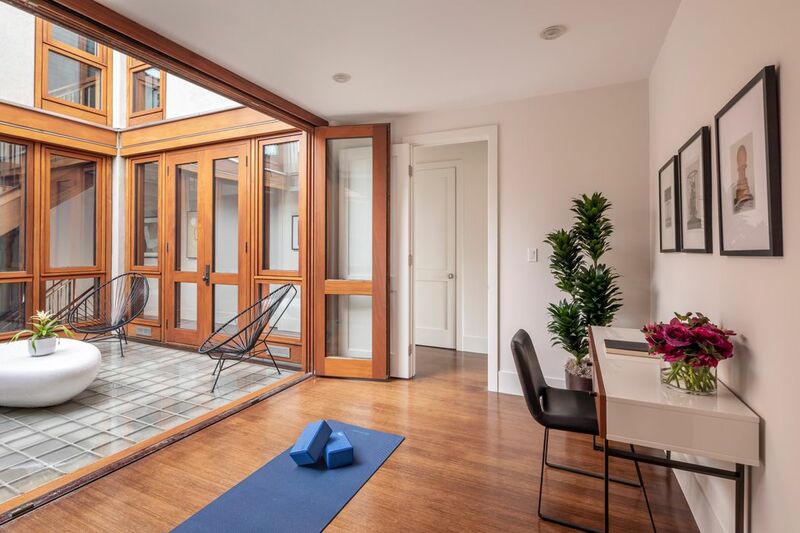 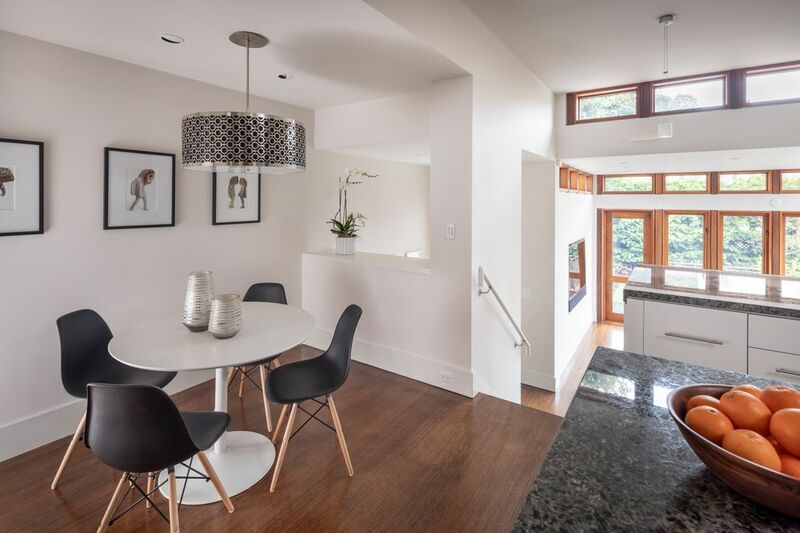 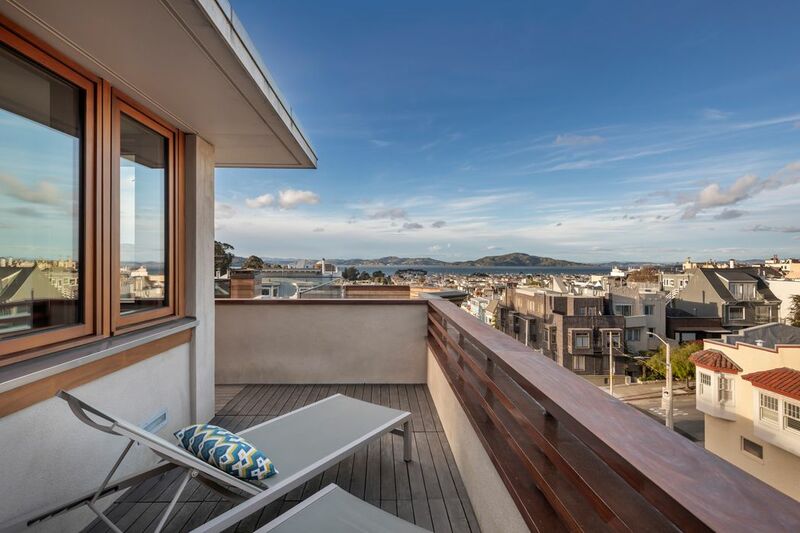 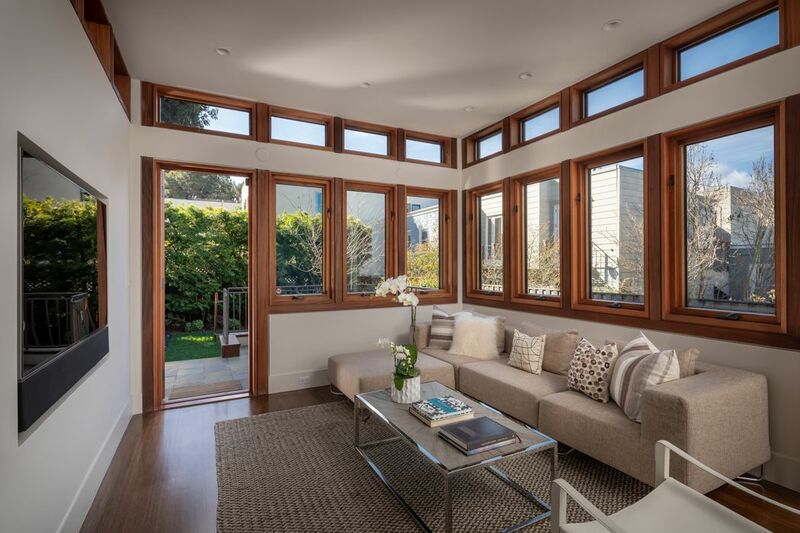 This light-filled multilevel home in Cow Hollow exudes sophistication and has a warm and inviting ambiance. 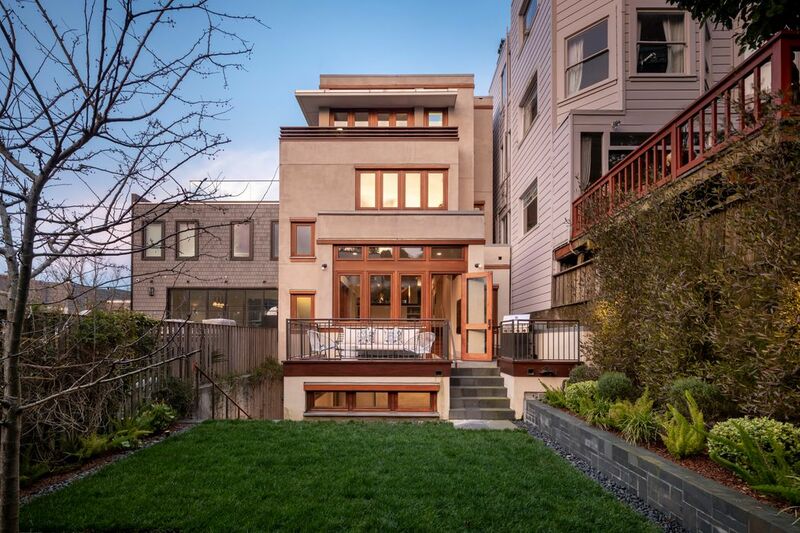 It boasts five restful bedrooms, four full and two half baths, beautiful wood-paneled windows, and a garden accessed directly off of the family room. 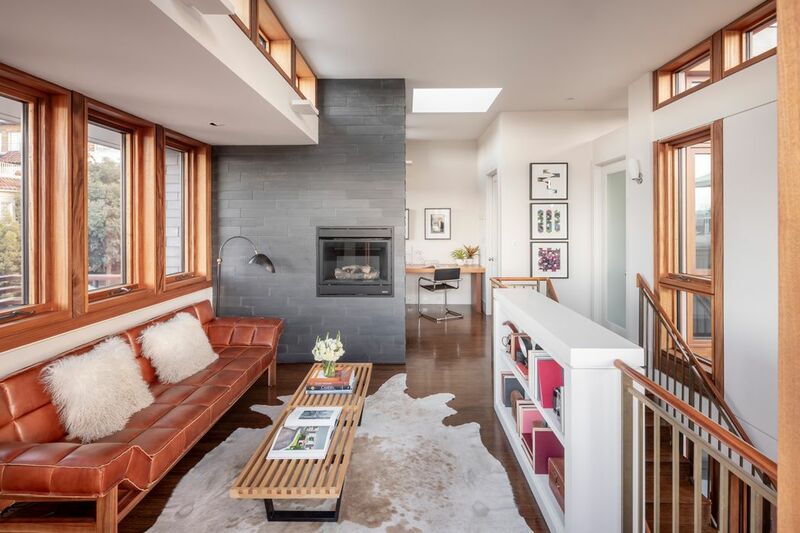 On the main level, a sophisticated living room with a fireplace flows easily to a dining area with a thoughtful pass-through to the kitchen, creating a perfect setting for effortless entertaining. 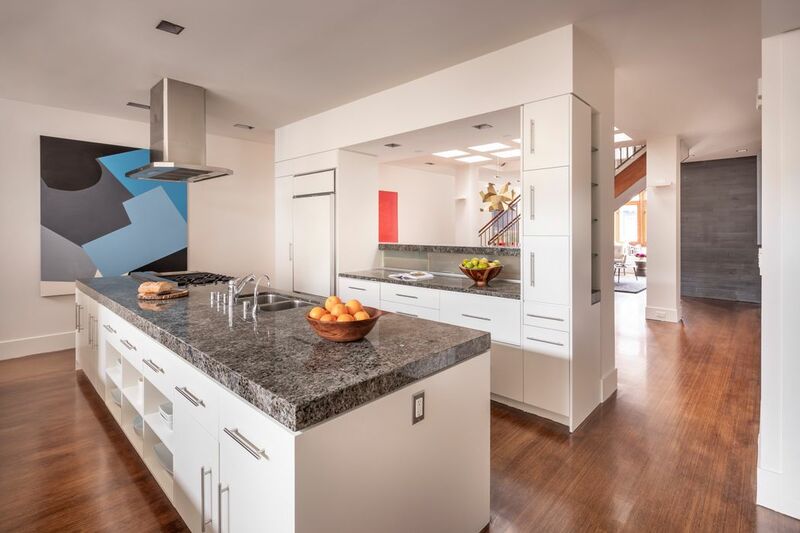 The kitchen features a large island, double ovens, and a breakfast nook. 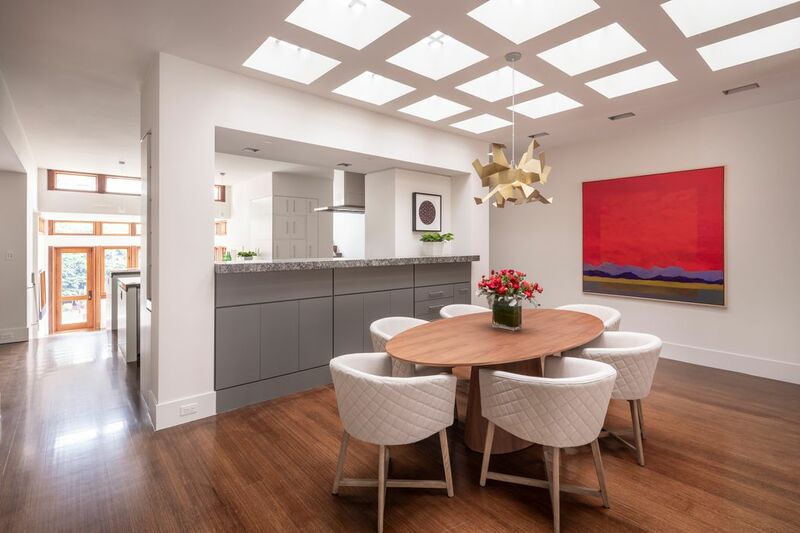 Down a short set of stairs is the family room, a well-outfitted office alcove, and wet bar, all enjoying the two walls of windows that flood the room with light. 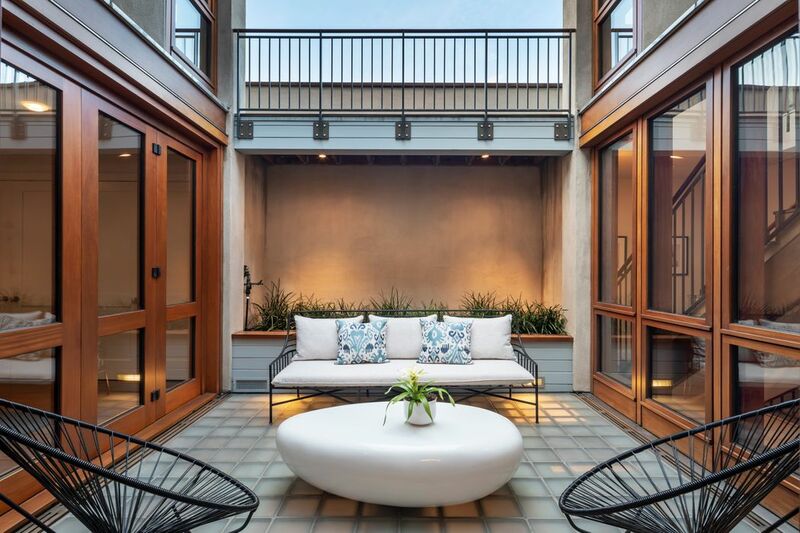 The patio provides the ideal grilling space, which steps down into the lush garden. 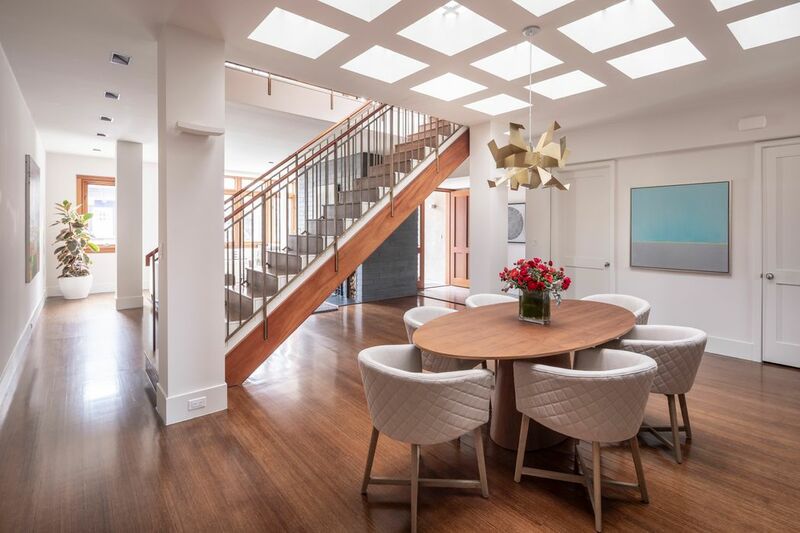 The upper levels can be accessed via a dramatic stairway dividing the living and dining rooms. 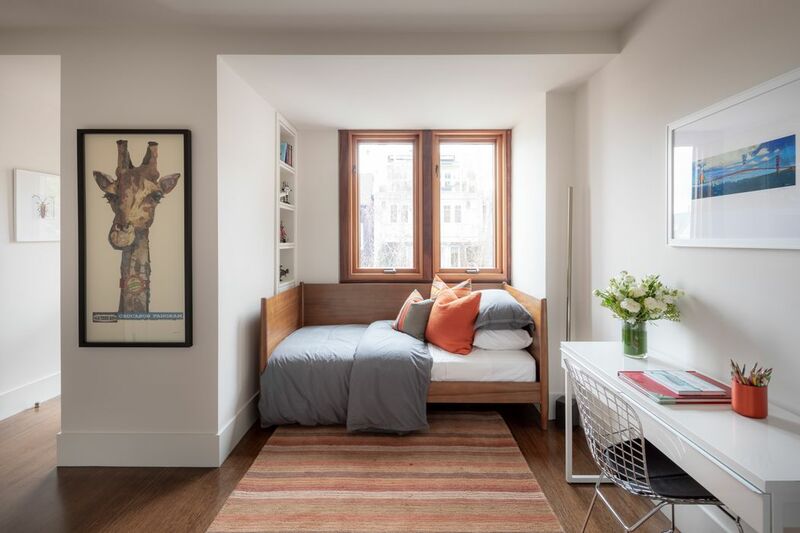 The bedroom level includes three bedrooms, two bathrooms, and an office, all centered around a protected atrium patio. 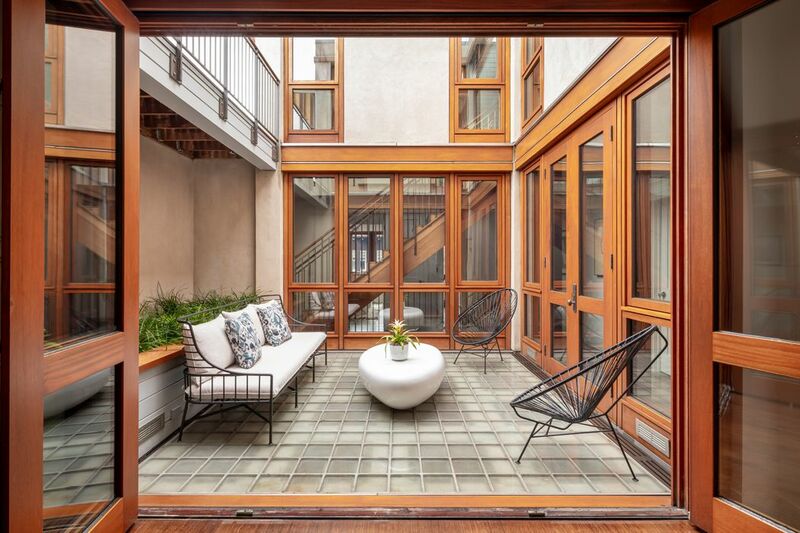 The wall of windows overlooking the patio from the office, accordion open to create a feeling or indoor and outdoor living. 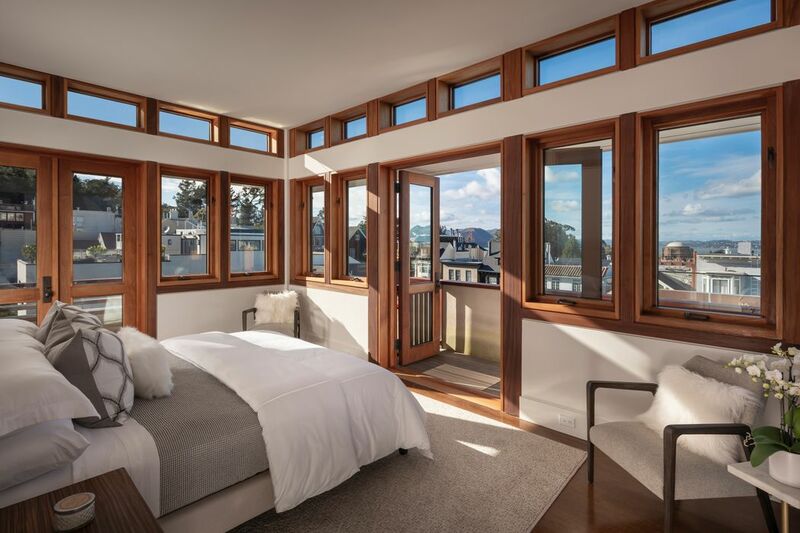 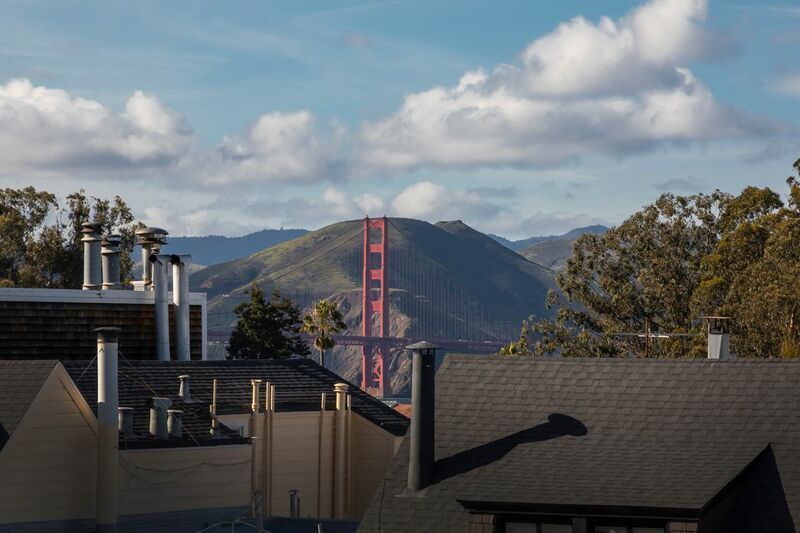 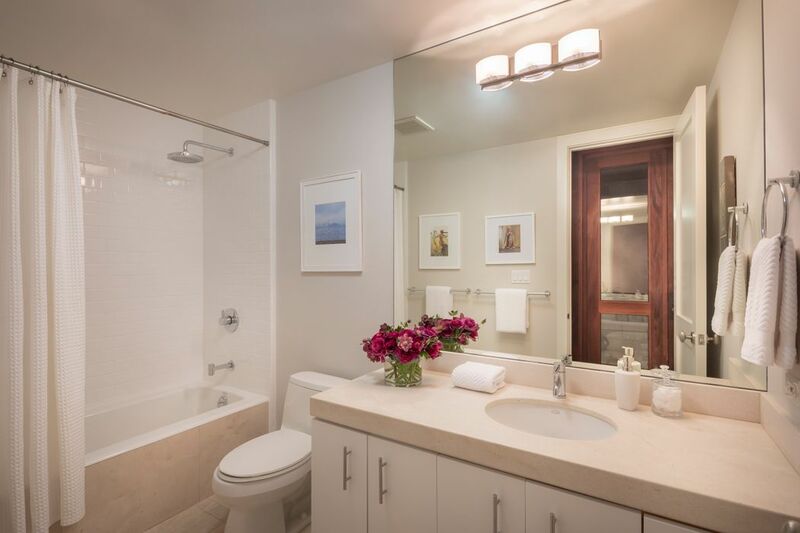 The master suite occupies the entire top floor and enjoys sweeping views of the bay, Alcatraz and the Golden Gate bridge. 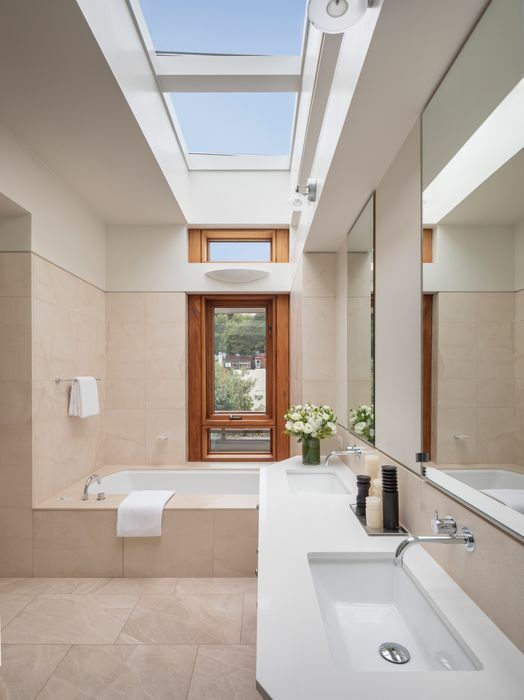 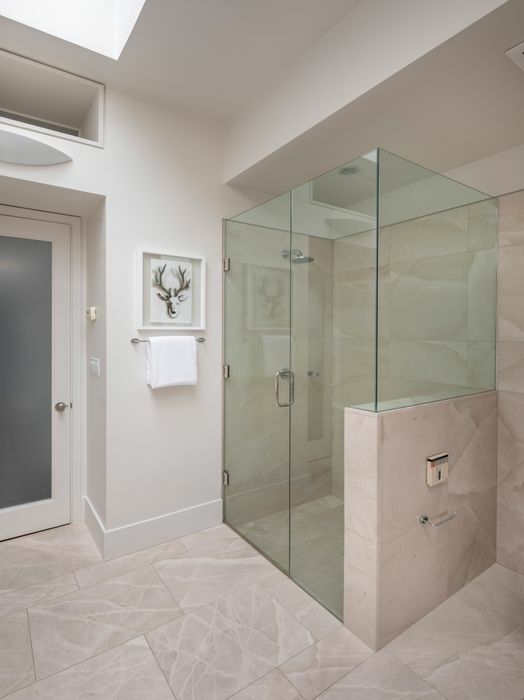 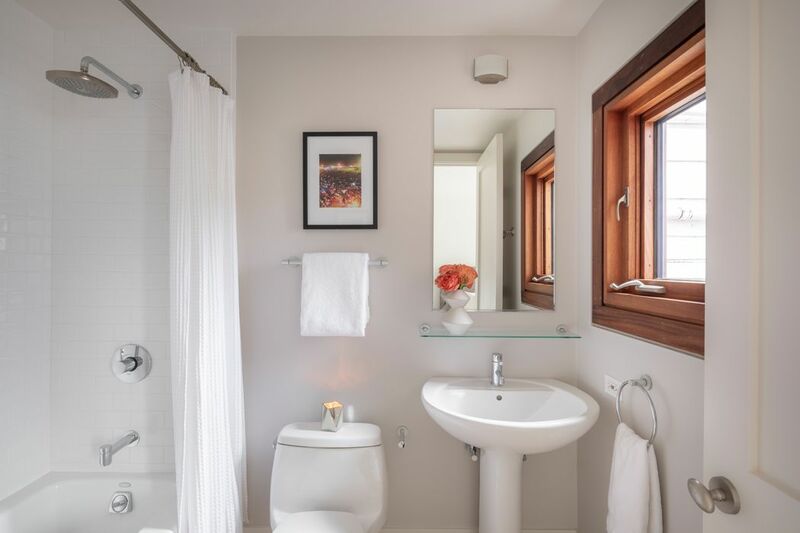 In addition to a serene bedroom enveloped by windows, it includes an en-suite bath with a soaking tub, a glass-enclosed shower, and dual vanities; walk-in closets; a windowed office; and a sitting area with a modern fireplace and access to a wraparound deck. 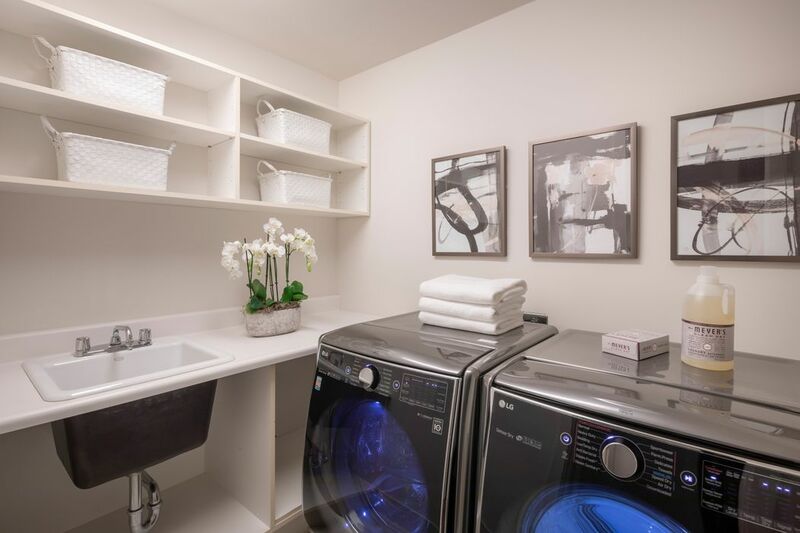 A legal in-law suite is located on the lower floor with it’s own private entrance, a kitchen with counter seating, living area, and bedroom/bath, the perfect space for guests, au-pairs, or additional rental income. 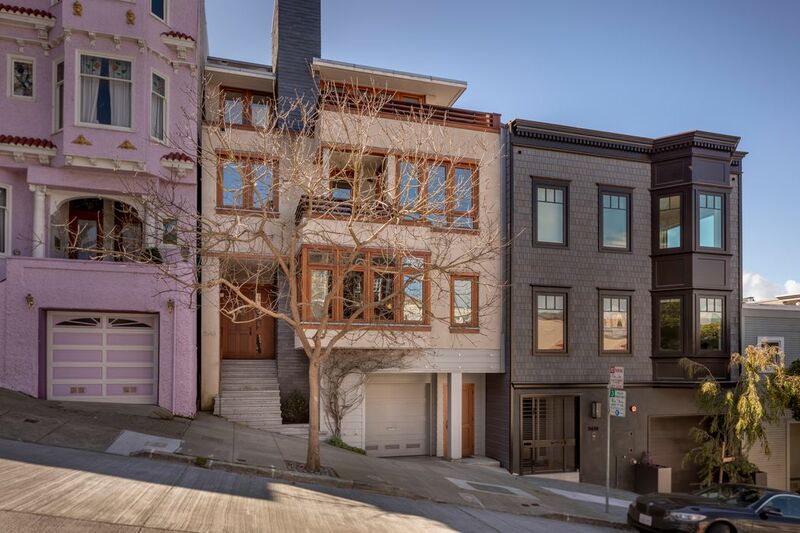 Completing the home is an enviable three-car garage and additional storage. 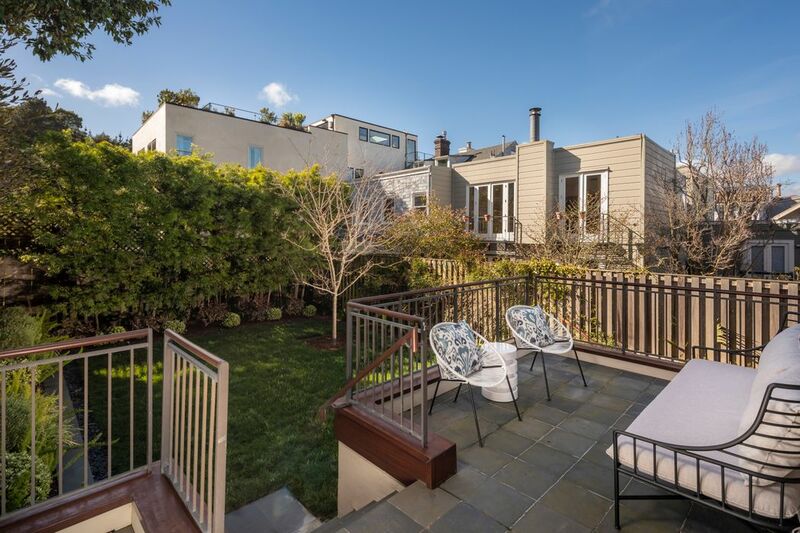 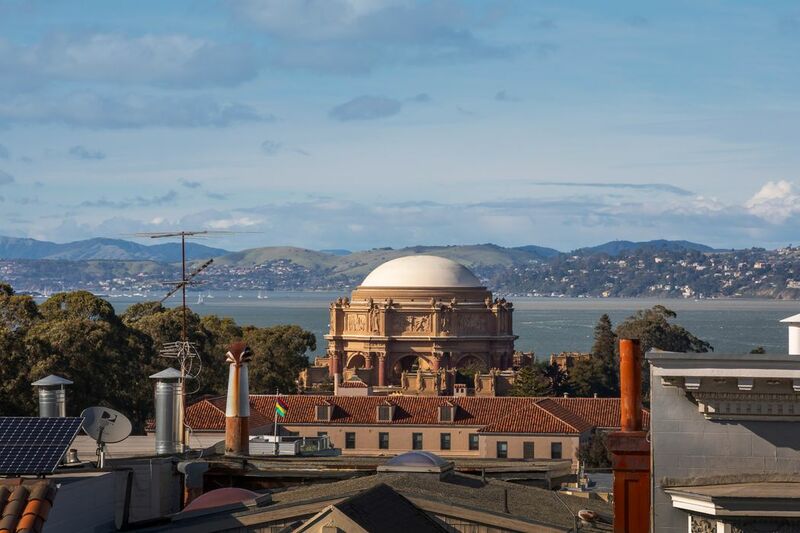 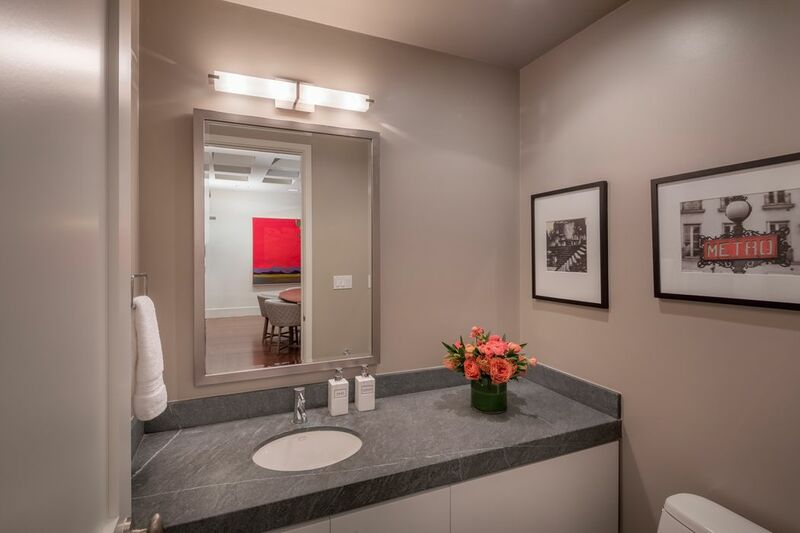 2645 Baker Street is perfectly positioned on the edge of Cow Hollow near the Presidio National Park and within a short walk to the restaurants and shops along Chestnut St and Union St. 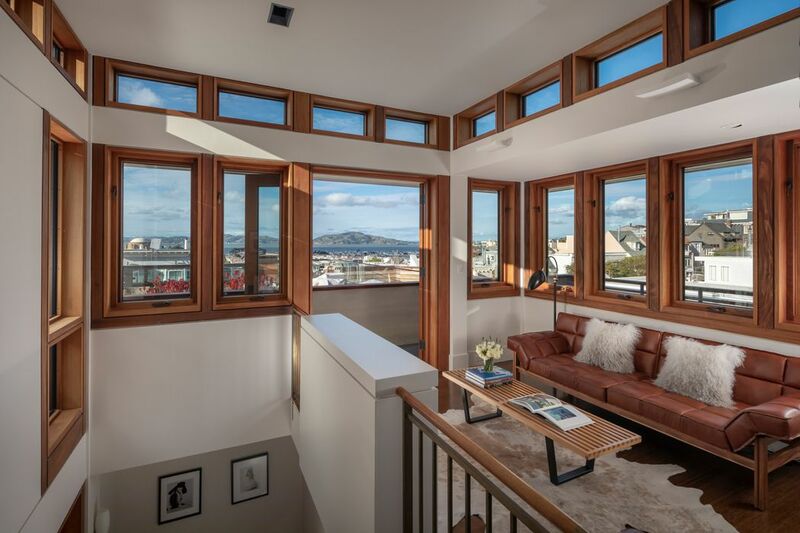 This light-filled multilevel home in Cow Hollow exudes sophistication and has a warm and inviting ambiance. 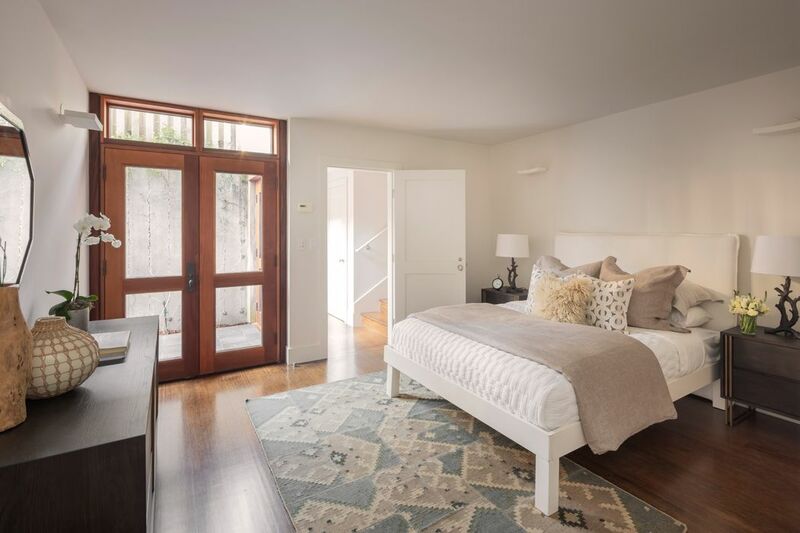 It boasts five restful bedrooms, four full and two half baths, beautiful wood-paneled windows, and a garden accessed directly off of the family room. 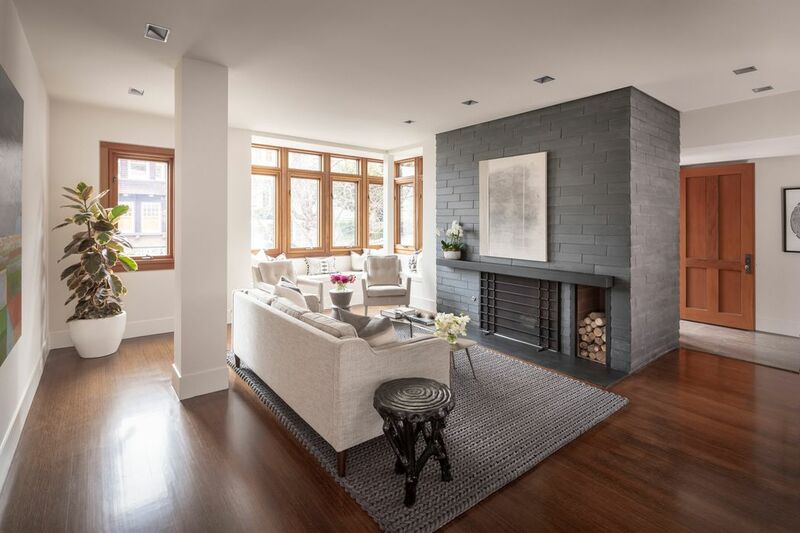 On the main level, a sophisticated living room with a fireplace flows easily to a dining area with a thoughtful pass-through to the kitchen, creating a perfect setting for effortless entertaining. 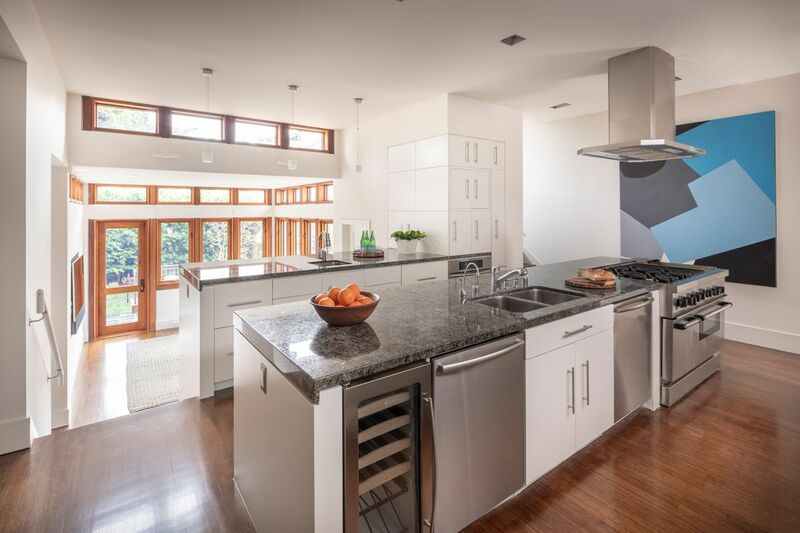 The kitchen features a large island, double ovens, and a breakfast nook. 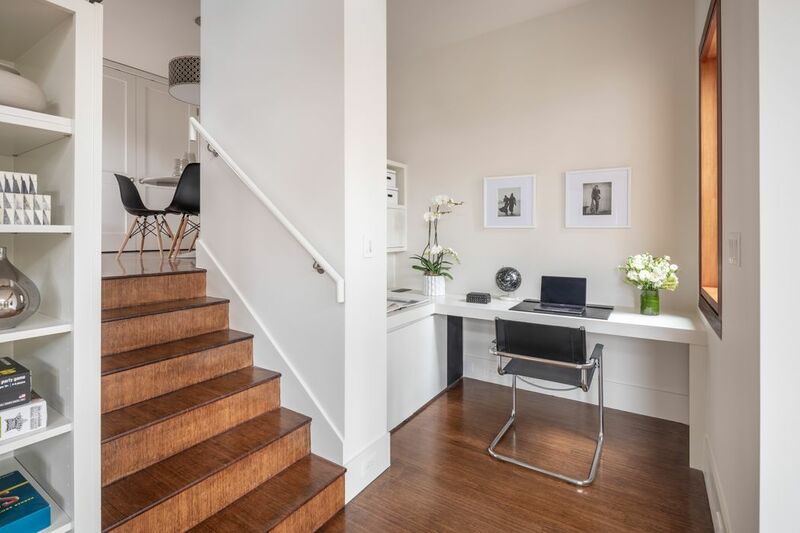 Down a short set of stairs is the family room, a well-outfitted office alcove, and wet bar, all enjoying the two walls of windows that flood the room with light. 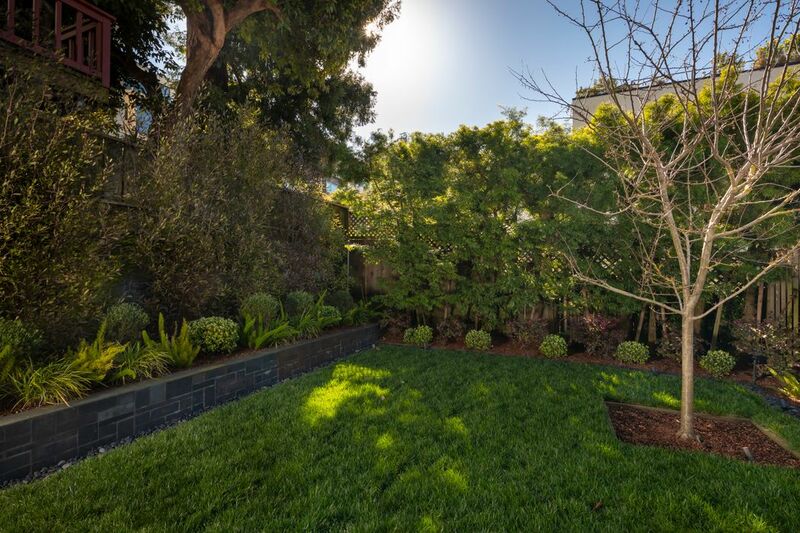 The patio provides the ideal grilling space, which steps down into the lush garden. 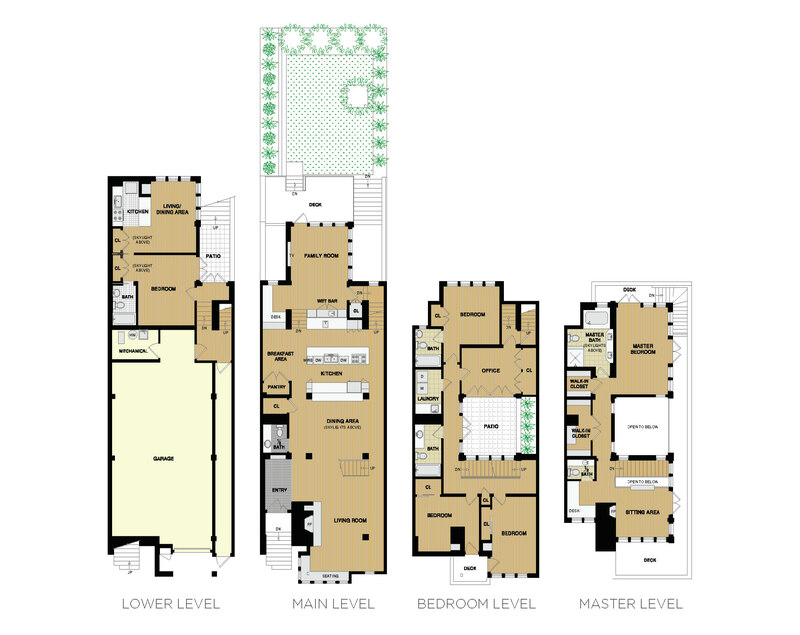 The upper levels can be accessed via a dramatic stairway dividing the living and dining rooms. 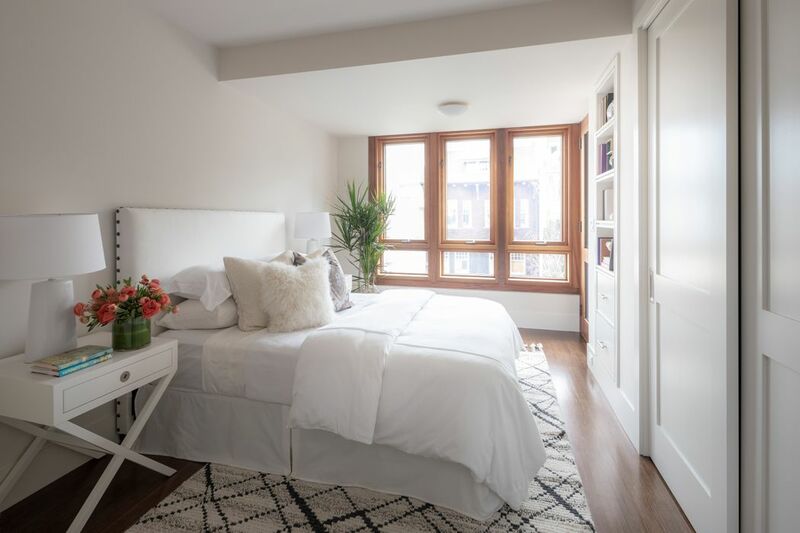 The bedroom level includes three bedrooms, two bathrooms, and an office, all centered around a protected atrium patio. 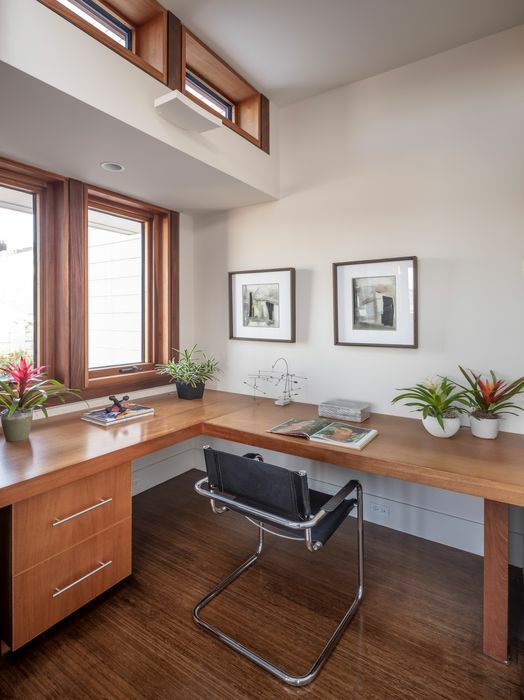 The wall of windows overlooking the patio from the office, accordion open to create a feeling or indoor and outdoor living. 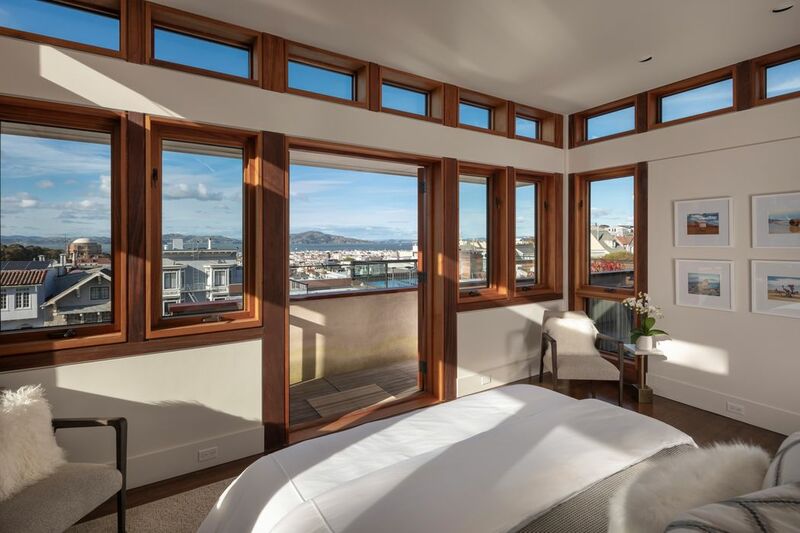 The master suite occupies the entire top floor and enjoys sweeping views of the bay, Alcatraz and the Golden Gate bridge. 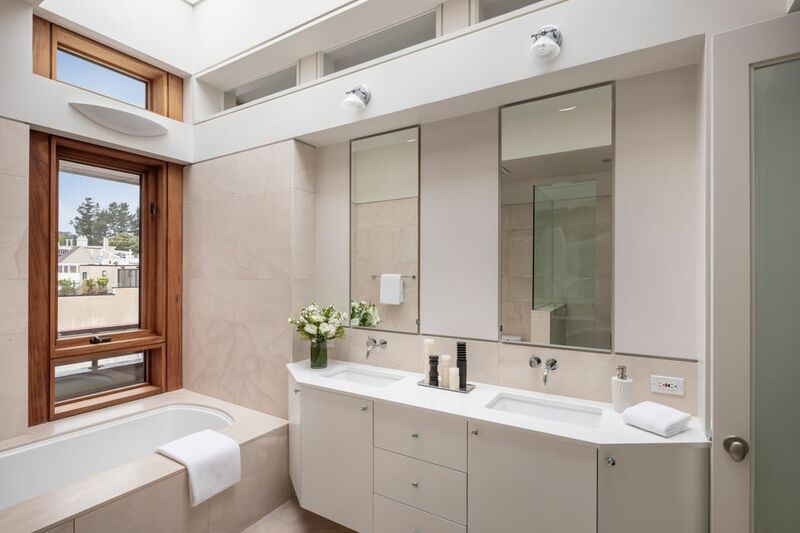 In addition to a serene bedroom enveloped by windows, it includes an en-suite bath with a soaking tub, a glass-enclosed shower, and dual vanities; walk-in closets; a windowed office; and a sitting area with a modern fireplace and access to a wraparound deck. 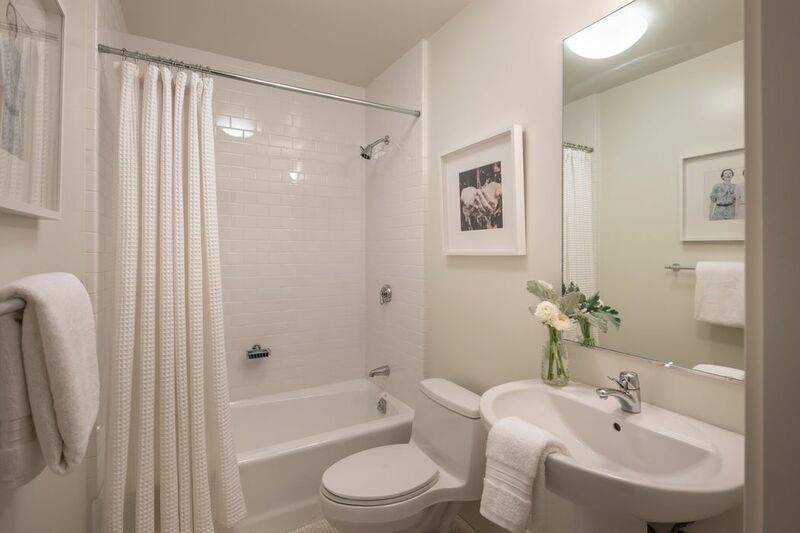 A legal in-law suite is located on the lower floor with it’s own private entrance, a kitchen with counter seating, living area, and bedroom/bath, the perfect space for guests, au-pairs, or additional rental income. 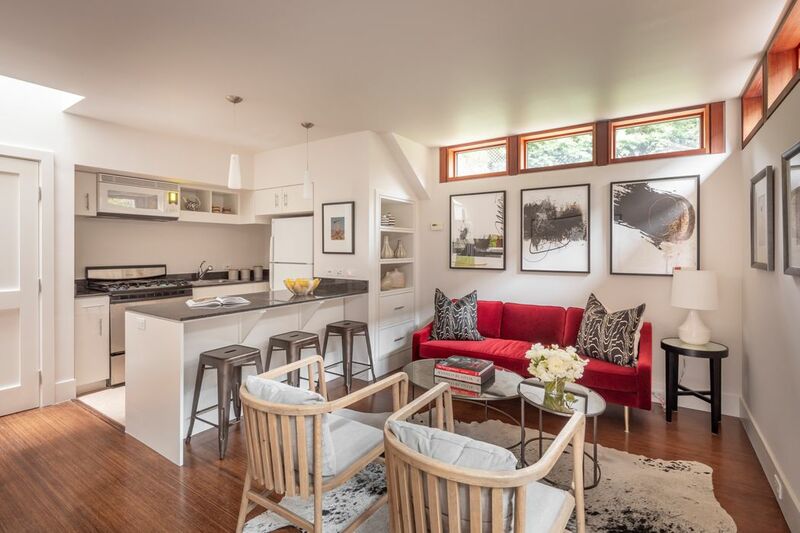 Completing the home is an enviable three-car garage and additional storage. 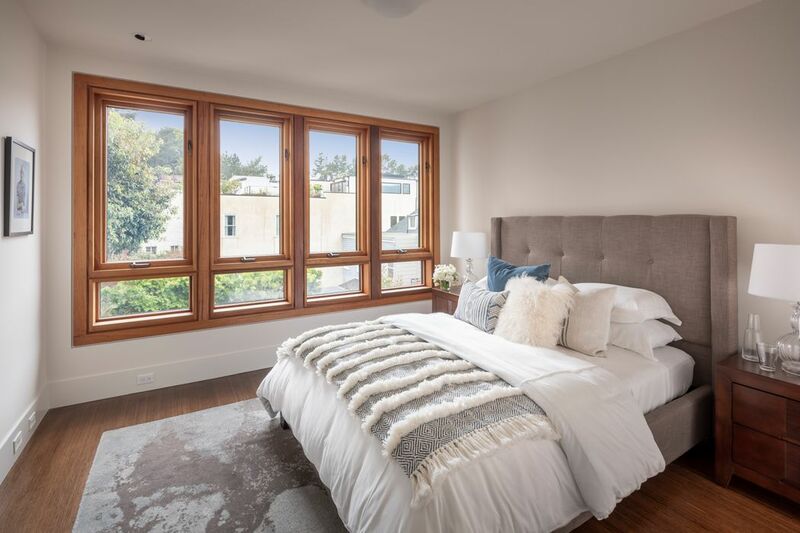 2645 Baker Street is perfectly positioned on the edge of Cow Hollow near the Presidio National Park and within a short walk to the restaurants and shops along Chestnut St and Union St.